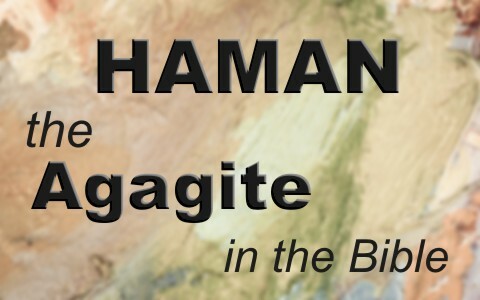 Who was Haman the Agagite in the Bible? Why is it important for us to know? We don’t know very much about Haman the Agagite’s background. He may have been a descendant of King Agag, the king of the Amalekites but we know for sure that he was so Haman must have had considerable power in the King Ahasuerus’ court. This might explain why “King Ahasuerus promoted Haman the Agagite, the son of Hammedatha, and advanced him and set his throne above all the officials who were with him” (Esther 3:1). Haman was second in command in the nation with only King Ahasuerus over him. Why did Haman hate the Jews so much and have such a great obsession to wipe them out? Part of the reason might come right after Haman was promoted to second in power when “all the king’s servants who were at the king’s gate bowed down and paid homage to Haman, for the king had so commanded concerning him. But Mordecai did not bow down or pay homage” (Esther 3:2). These same “servants who were at the king’s gate said to Mordecai, ‘Why do you transgress the king’s command?’ And when they spoke to him day after day and he would not listen to them, they told Haman, in order to see whether Mordecai’s words would stand, for he had told them that he was a Jew” (Esther 3:3-4). Haman was so angry at Mordecai and by extension, all the Jews, he was now going to work on trying to exterminate them. What he would later come to realize, and only then too late, was that “He who digs a pit will fall into it” (Eccl 10:8a). Haman came up with a plot and this plan was designed to kill every Jew in the land. Haman simply “disdained to lay hands on Mordecai alone. So, as they had made known to him the people of Mordecai, Haman sought to destroy all the Jews, the people of Mordecai, throughout the whole kingdom of Ahasuerus” (Esther 3:6) so Haman convinced the king to force all the different ethnic groups and languages to universally obey King Ahasuerus’ laws so that the king wouldn’t suffer financially (Esther 3:8). Haman tried using the king’s desire for more wealth to enact this law but the king wanted the money to be used by the people themselves. This law was essentially a death penalty for the Jews. It was essentially a “sum of money that Haman had promised to pay into the king’s treasuries for the destruction of the Jews” (Esther 4:7) but we know the motivation was to wipe out the Jews. Mordecai told Esther what Haman was planning to do and asked for her help but at first hesitated until Mordecai gave a very serious warning, “Do not think to yourself that in the king’s palace you will escape any more than all the other Jews. For if you keep silent at this time, relief and deliverance will rise for the Jews from another place, but you and your father’s house will perish” and Mordecai’s main point was “And who knows whether you have not come to the kingdom for such a time as this” (Esther 4:13-14) so Esther went before the king, which could be death if the king didn’t raise his scepter and fortunately he did. Esther then said “if it please the king to grant my wish and fulfill my request, let the king and Haman come to the feast that I will prepare for them, and tomorrow I will do as the king has said” (Esther 5:8). When Haman found out about this feast, he thought he’d be the guest of honor. Later “when Haman saw Mordecai in the king’s gate, that he neither rose nor trembled before him, he was filled with wrath against Mordecai. Nevertheless, Haman restrained himself and went home, and he sent and brought his friends and his wife Zeresh. And Haman recounted to them the splendor of his riches, the number of his sons, all the promotions with which the king had honored him, and how he had advanced him above the officials and the servants of the king. Then Haman said, “Even Queen Esther let no one but me come with the king to the feast she prepared. And tomorrow also I am invited by her together with the king. Yet all this is worth nothing to me, so long as I see Mordecai the Jew sitting at the king’s gate.” Then his wife Zeresh and all his friends said to him “Let a gallows fifty cubits high be made, and in the morning tell the king to have Mordecai hanged upon it. Then go joyfully with the king to the feast.” Haman loved the idea and so had the gallows made” (Esther 5:9-14). Late one night when King Ahasuerus couldn’t sleep, he started browsing through books of memorable deeds and then discovered that Mordecai had actually uncovered a plot on the king’s life but had never been rewarded so he sought out Mordecai to see what he could do to honor him (Esther 6:2-3). Then the king summoned Haman and asked him “What should be done to the man whom the king delights to honor?” And Haman said to himself, “Whom would the king delight to honor more than me?” And Haman said to the king, “For the man whom the king delights to honor, let royal robes be brought, which the king has worn, and the horse that the king has ridden, and on whose head a royal crown is set. And let the robes and the horse be handed over to one of the king’s most noble officials” (Esther 6:6-9a). At this point, Haman thought it was for him but then the king told them that they were for Mordecai (Esther 6:10-11). Haman ended up being hung on his own gallows. Sad end to a man who at one time was second in power behind the king to being hung on the gallows that he had constructed. Thank you John. I think the “8” came from the verse number 8 and should not be in there. My apologies and thank you for pointing that out. The “8” has been removed sir and may God richly bless you for that.